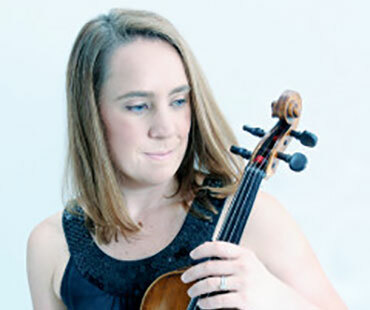 Louise Lansdown was appointed Head of Strings at Birmingham Conservatoire in 2012, after holding the position of Senior Lecturer in the School of Strings at the Royal Northern College of Music in Manchester from 2001-2012. Louise is the founder of the Cecil Aronowitz International Viola Competition, launched at Birmingham Conservatoire in October 2014 as well as the founder and President of the British Viola Society. She is the Secretary of the International Viola Society, on the Council of Management of Lake District Summer Music, a Trustee of the European String Teachers Association, on the board of the Quartet of Peace Trust and directs the Conservatoire based viola course at Pro Corda, Suffolk. Louise, along with her viola students is the founder of a major distance learning education project that Birmingham Conservatoire will run in collaboration with Music is a Great Investment, Soweto, South Africa called “ARCO”. The project was launched in July 2015. She plays on a French Viola c.1750 and 1890 Sartory bow, both previously belonged to the South African violist Cecil Aronowitz.